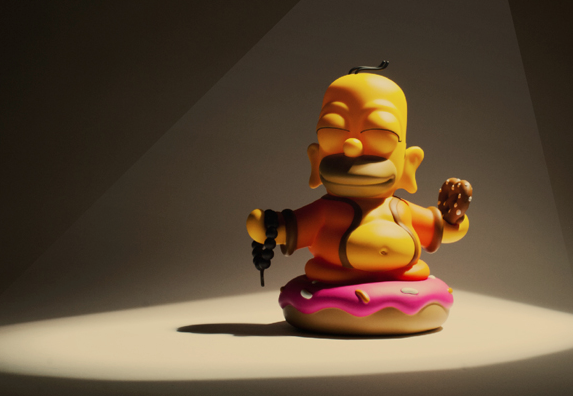 Inspired by the season 16 episode titled "Goo Goo Gai Pan," wherein homer poses as the enlightened one in order to gain entrance to a Chinese orphanage. The 7" tall vinyl piece of desk top ephemera will be released September 6th through Kidrobot stores, Kidrobot.com, and select retailers world wide. Mmmmmmm...enlightenment!